Within the disabling confines of my linguistic competence and drawing lamely on translation, I want to look at a pride of philosophic texts as these proceed under pressure of literary ideals and the poetics of rhetoric. I want to look at synaptic contacts between philosophic arguments and literary expression. Specifically, poetic expression: “A good poem conveys the postulate of a new beginning, the vita nuova of the unprecedented. So much of prose is a creature of habit.” He even suggests that the “discovery” of metaphor is what ignited abstract, disinterested thought. 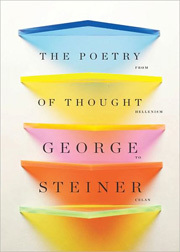 Polysemy, words or symbols having more than one meaning, is central to Steiner’s argument here: “Puns, wordplay, deceptive synonymity convey the polysemic depths, the constant mobility in phenomena and their presumed linguistic counterpart.” Poetry “when it is most itself,” tending toward the hermetic, gives to philosophy the suggestion that “the order of words . . . perhaps sustains the hidden yet manifest coherence of the cosmos.” That is, the difficulties of poetic language, its opacities, paradoxes, ambiguities, avoidances of linear logic—as opposed to “the impoverishing, distorting fragmentations of logic and the sciences” —are what lead thought toward transcendent truths about reality. The implications of this seem counterintuitive, at times even dryly humorous: Steiner suggests that Hegel’s almost unintelligible style may be an important part of his intellectual power. The scandalous totality of doubt, the abolition of the human body and of the world it no longer inhabits—a thought-experiment whose surrealist extremity borders on madness—is deliberately masked by the elegance of Descartes grammar. Yet if the reader comes up short on remembering the relevant references, the argument doesn’t suffer to any great degree—details and ideas shore one another up very well. Fundamental to this [book] is a conjecture which I find difficult to put into words. A close association of music with poetry is a commonplace. . . . Is there in some kindred sense “a poetry, a music of thought” deeper than that which attaches to the external uses of language, to style? In addition to the reprises of some familiar ideas and figures, a few familiar contradictions appear as well: for example, readers again encounter Steiner’s common-sensical rejection of the notion that there was a pre-Lapsarian, “Adamic” language that corresponded perfectly to the reality of things, while he again asserts that Attic Greek was unparalleled in its ability to capture and manipulate abstract thought, unparalleled, that is, until the emergence of modern German, particularly post World War II German. How Steiner can dismiss the possibility of a Biblical Adamic language yet believe in something very much like it in regard to Greek and German remains unclear, and if the reader doubts Steiner’s claims for the exceptional powers of the latter two languages, parts of the argument, as startling and brilliant as they may be, won’t completely convince. 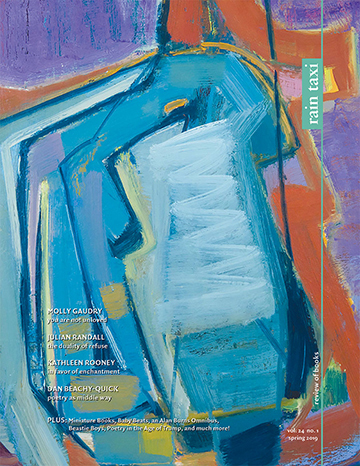 In taking up the subject of modern German, in returning to Heidegger and Celan, Steiner again grapples with the nature and the effects of the Shoah, of how the humanities and the powers of thought, in many instances, not only fail to make those who engage with them more humane, but may even contribute to their inhumanity. It is the influence of the Shoah on Steiner that Catherine Chatterley uses as the basis for Disenchantment, her new study of his life and thought. Having escaped the Nazi onslaught as a child, Steiner vowed as a young man to become a remembrancer. . . . There can be no doubt that Steiner’s experience as a European Jew during the twentieth century has determined his dominant intellectual concerns, particularly his interest in the effects of the Holocaust upon language and culture, the nature and meaning of the humanities, and the relations between Jews and Gentiles in Western culture. [Steiner’s] multidisciplinary cultural criticism revolves around several key interests that determine the nature and tone of his criticism, all of which are either stimulated, or affected, by the Holocaust. A reading of Steiner’s work as a whole, including The Poetry of Thought, suggests rather that his reflections on the Shoah, his thoughts on humanity as a whole, arise from the terrible knowledge of that strong link—one Steiner finds more horrible than any particular example—between high intellectual achievement and the embracing of evil, with the Shoah being only a modern, very graphic example. Chatterley certainly recognizes Steiner’s deep worry about this link, and is successful at conveying this worry, writing, “Steiner sees the absolute scholar [as having a] unique vulnerability to political corruption and violence.” Rather than seeing how Steiner’s worry is based in this as a universal, however, she too often steers her argument back to the effects of Auschwitz. She acknowledges, too, that Steiner is ambivalent about some of the more assertive aspects of Jewish survival tactics since Auschwitz—his view of Israel itself is that it quite possibly threatens the very heart of Judaism—but these nuances are relegated to a second tier in her analysis. Still, there is much here of interest here that bears only tangentially on her central argument. Chatterley has gathered up a good amount of biographical detail about Steiner’s student days and the early periods of his academic career. She holds that Steiner became the brilliant polymath intellectual he is because it was what his father wanted and groomed him to be. Steiner’s own accounts, however, suggest that it was a haphazard course: he had wanted to go into mathematics, but found he lacked the gift; it was an all-night study marathon in a University of Chicago dorm room that made Steiner believe that he did have the gifts to become a teacher and a critic. Chatterley’s descriptions of Steiner’s continual struggles against the intricate social structure of the English university system are as perceptive as the facts are disheartening. 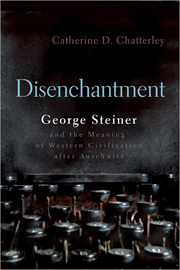 In the end, Disenchantment is a thoughtful, at times penetrating study, but one that often takes a too narrow view of Steiner’s intellectual development and range.